Level Of Ease: All chords are easy to play and the song is suitable for beginners. The timing is a little tricky with this version but listen carefully and follow the chord chart closely... you'll soon get the hang of it. Beginners can play the open version of the chord Bm... xx4432 - don't forget to avoid the bottom 2 strings. The repeat sign / means you repeat the previous part in the bar. Keeping in mind we are in 3/4 time (3 quarter-note/crotchet beats per bar), | Am D / | means you play Am for 1 beat and D for 2 beats. The same applies to | D G / |, where you play D for 1 beat and G for 2 beats. You can replace the G6 with a G chord but make sure to give the G6 a go because it makes for a very interesting sound. It is a very easy chord to play - just think of it as a G chord without the 3rd finger. BONEY M chords and lyrics are property and copyright of their owners. 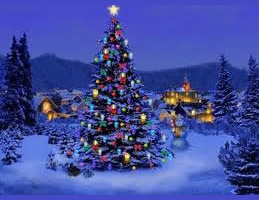 "O Christmas Tree" chords and lyrics are provided for educational purposes and personal use only.